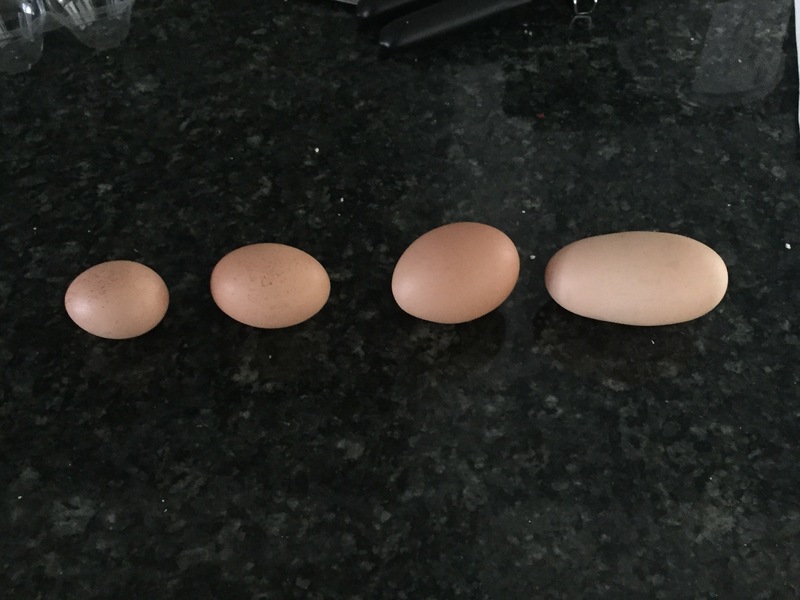 A couple of weeks ago, at least one of our hens was laying some odd sized eggs, from tiny to extra large. Different size eggs (likely from the same hen). Well, we decided to crack open the eggs to see what, if anything, was inside. Click through to see what we found. With the recent warm spell, all of our snow and ice melted in a few days. We decided to hike up to our 35 foot tall waterfall and see what it looked like with what may be the highest water flow rate of the year (and to preemptively answer a question we get asked a lot: yes, the waterfall is on our property). Our waterfall in the spring. There was more water coming over the falls than at any of our prior visits to the falls, but even with temperatures having reached over 70 degrees in early March, there was still some ice around the falls. 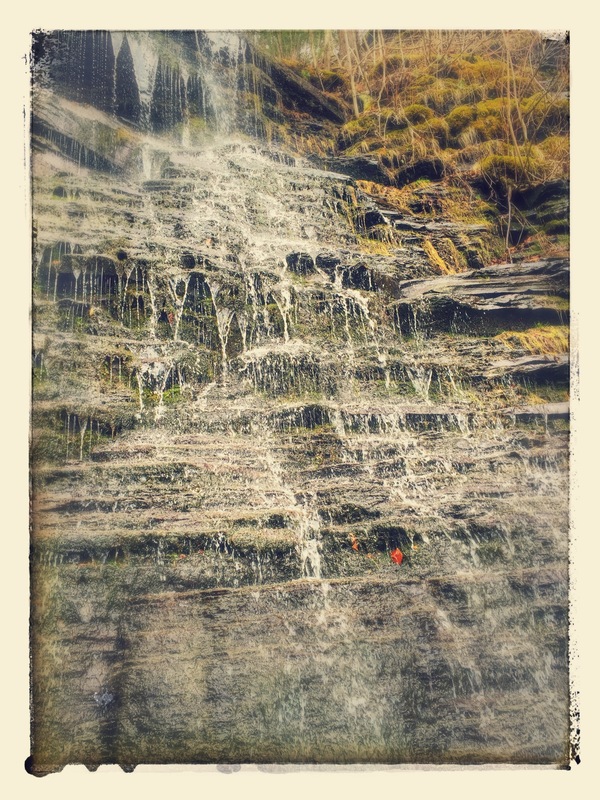 Click through to see more pictures and a video of the falls. It is now early March and the weather is very warm. The high temperature was over 70 degrees earlier this week. The average high temperature normally doesn’t reach the 70s until June. Even the deepest snow piles have almost completely disappeared. Instead of mid-winter, maybe this is really an early-summer update. How have the chickens fared over the winter? Like the goats, the chickens are doing well! On the coldest days, the chickens remained inside the chicken coop with a space heater to help them keep warm. On days at or above freezing, the chickens would usually venture outside as long as the snow wasn’t too deep. During the recent warm spell, the chickens spend most of their day outside. The chickens out in the field enjoying the early warm weather. 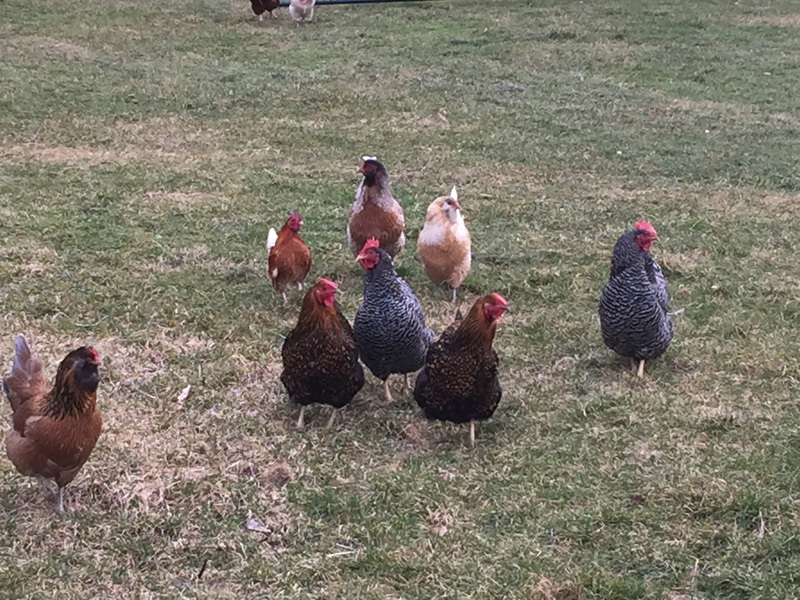 The chickens are venturing out into the pastures during the warm weather and enjoying the longer days. Click through for more pictures, including an interesting egg phenomenon. 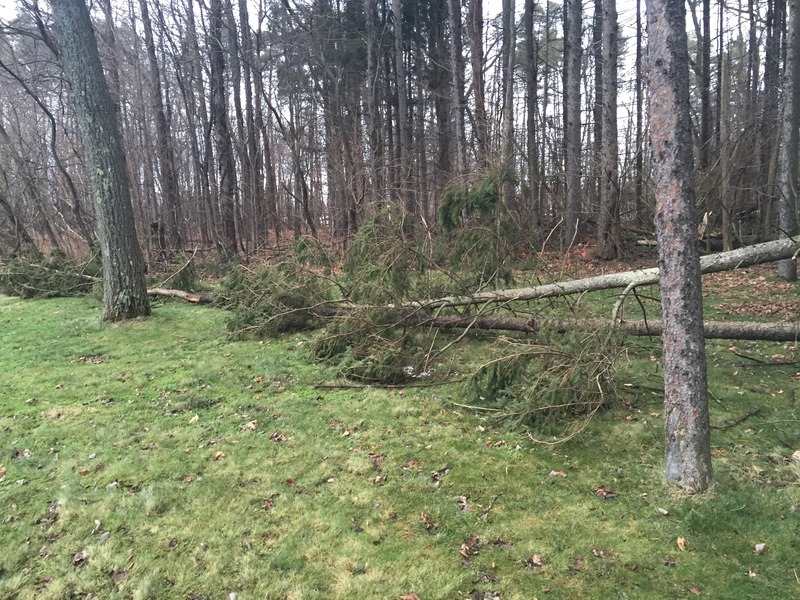 After a winter storm, we had 2 pine trees snap part way up their trunks and fall over. Here is a picture a few days after they came down. Two trees down during a winter storm. Long-time readers may recall that last time a tree came down, we were unable to handle it ourselves and instead we hired a tree service for assistance. This time the trees were not immediately threatening to fall on any of the fences and the trees were a little smaller in diameter, so we decided to try to handle it ourselves. This was made possible by a new tool we received as a holiday gift..